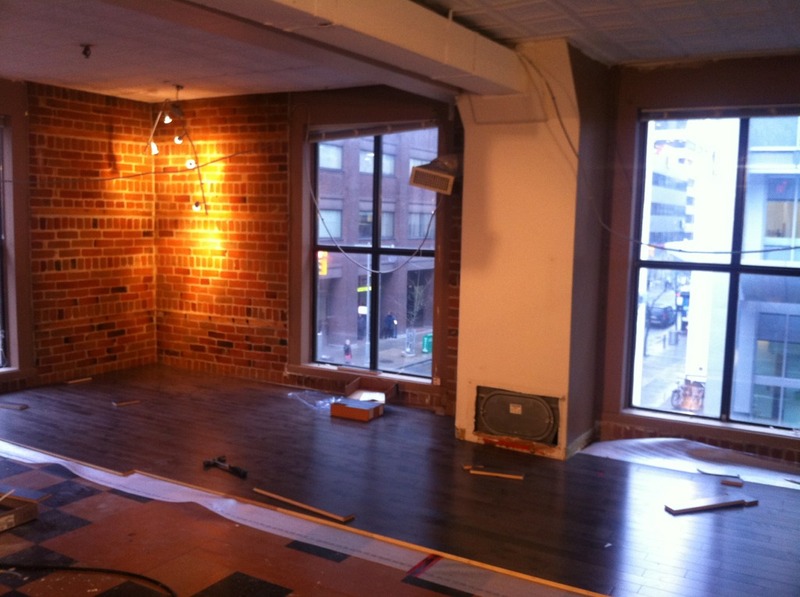 We started working on MediaStyle‘s sunny new space in mid-December. In a prime downtown location, with floor-to-ceiling windows and brick walls, the space already checks a lot boxes design-wise. 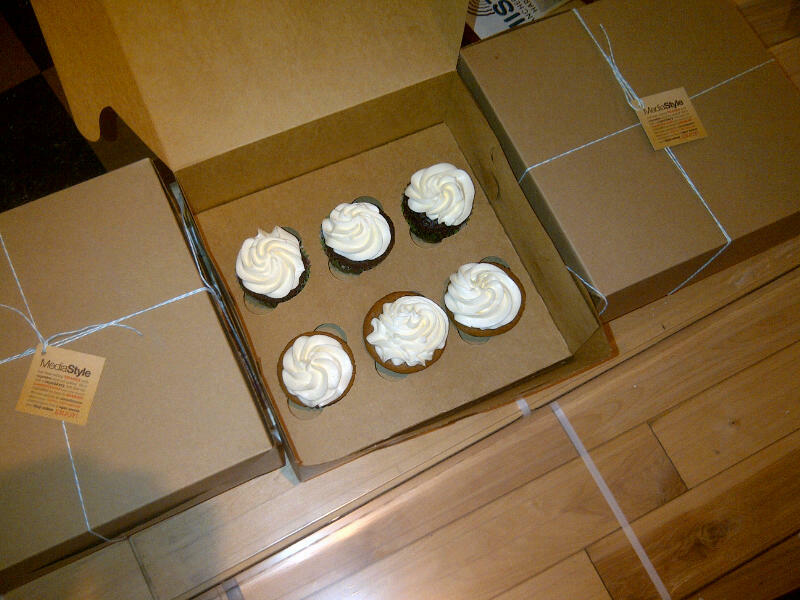 On day one the associate producer brought over delicious cupcakes, homemade by Ian Capstick, principal. Yes homemade. Baked goods got us off to a seriously good start. On day two, the owner of the salon and spa downstairs, concerned about all the noise, paid us a visit. It seems the banging and nailing associated with laying hardwood floors isn’t conducive to relaxing massages. So, we offered to start at 5 a.m. for the rest of the week. In return for our sudden shift in sleep schedule, the salon owner offered us free services. We’re all bald. Well that was awkward. By the end of the week we’d put down dark hardwood floors throughout 1,200 of the 1,700 square feet, created their new production studio and painted many of the walls. 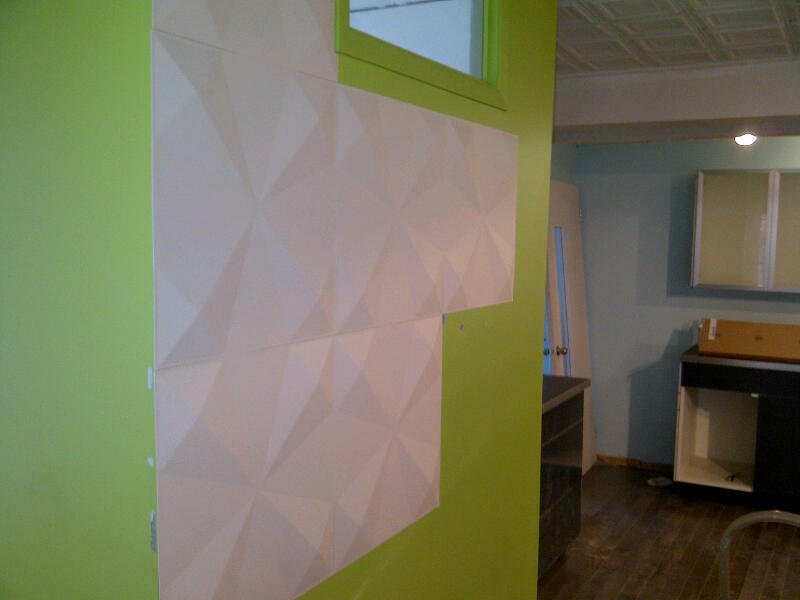 Day 9: Applying 3D Wall Art tiles. 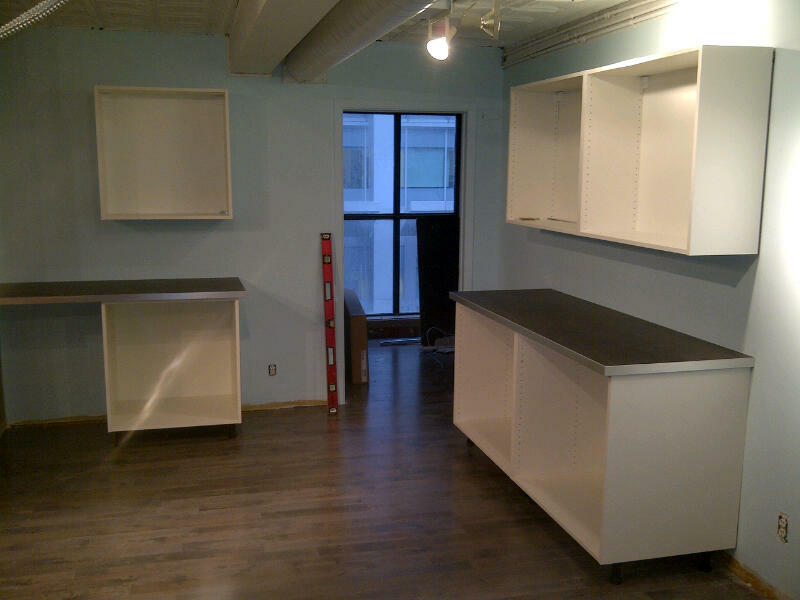 During week 2 we created an Ikea kitchen in a previously bare corner. 3D Wall Art tiles (in “kites”) created a focal-point wall at the entrance and we started work on one of their two bathrooms. Finishing touches in the collaboration space. 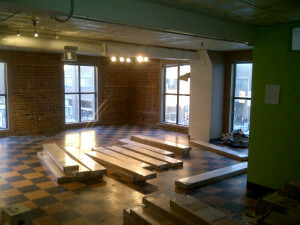 The renovation is complete and the MediaStyle team have moved into the space. 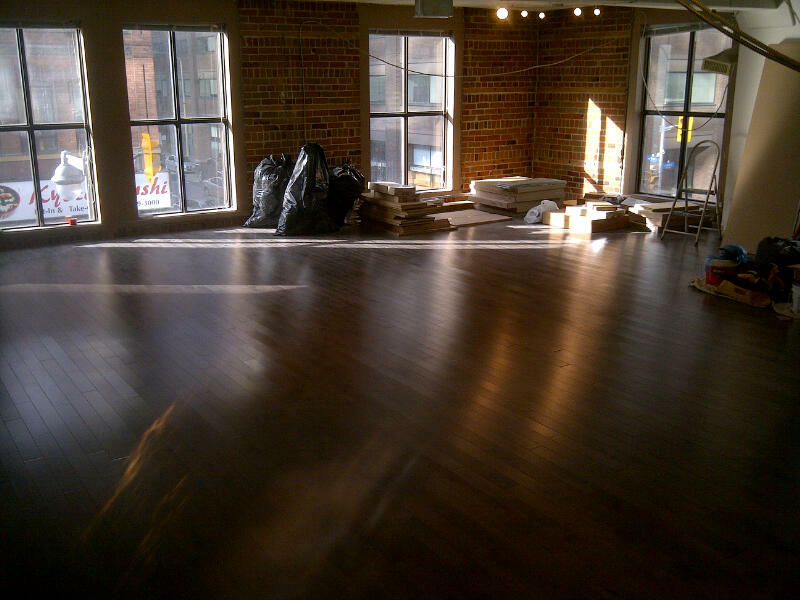 Ian shared this great photo, taken by Justin Van Leeuwen, of the renovated and fully-furnished space. Update January 25, 2012: Ian made a video of the renovation! 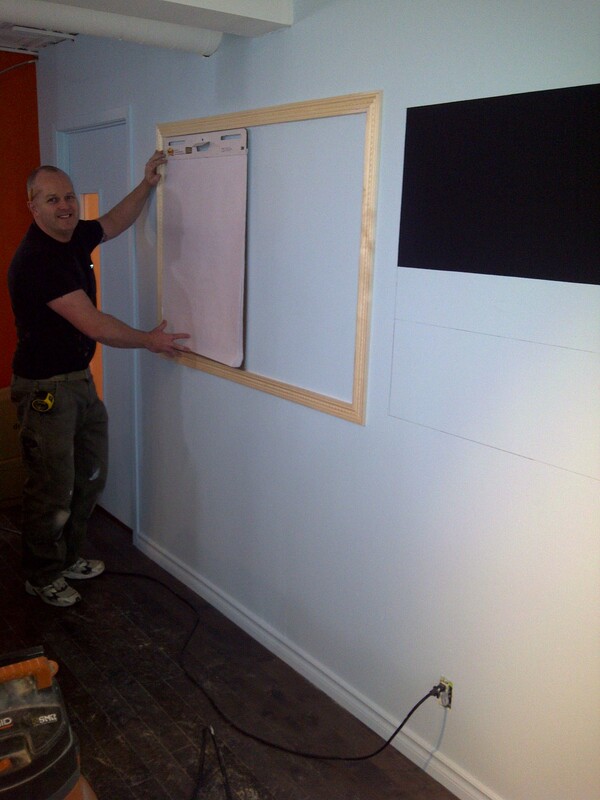 The Renovation: MediaStyle’s new home from Ian Capstick on Vimeo. Update February 7, 2012: Check out this timelapse documentary of designer Ailsa Francis constructing the planter and giving a few lessons on in-door gardening. I created the mobile planter base. MediaStyle’s Own Arizonian Landscape from Ian Capstick on Vimeo.